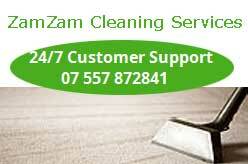 ZamZam Cleaners Cleaning company based in Slough. ZamZam cleaners Slough offers a professional, affordable, fully insured, cheapest rate residential & commercial cleaning services. Berkshire, Buckinghamshire, Middlesex, Surrey and Oxfordshire. Slough, Berkshire, SL14LP, United Kingdom.